It is strange but verifiably true from our DNA that everyone alive has a common relative about 3,400 years ago. This makes us all cousins. We are both related to Martin Luther King Jr.
What other wild sounding but true claims come to mind for you based on the fact of human relativity or cousinality? … “The length of a shared DNA sequence shows how closely, or distantly, two people are related … Thus DNA sequences shared with parents are the longest, those shared with grandparents are half as long and those shared with great-grandparents half as long again and so on. “Our research confirmed what Chang suspected—that everybody who was alive in Europe a thousand years ago and who had children, is an ancestor of everyone alive today who has some European ancestry,” Ralph said. Ralph and Coop calculated that these shared segments showed ancestors stretching back some 3,000 years, or 100 generations. This lends support to Chang’s calculation that by expanding his model from living Europeans to everyone alive on Earth, an all-ancestor generation would have occurred some 3,400 years ago. Does this mean we came from the same two ancestors 3,400 years ago? No. It means that of the people alive 3,400 years ago, you and I had a common ancestor in that pool of people. A third person alive today may not have that same common ancestor as both you and I, but she would have some common ancestor from that pool with each of us. That is the meaning of an all-ancestor generation. “The fact that everyone has two parents means that the number of ancestors for each individual doubles every generation,” Ralph said. “By using basic mathematics, we can calculate that ten generations ago each individual had a thousand ancestors, and 20 generations ago they had a million and so on. No matter the languages we speak or the color of our skin, we share ancestors who planted rice on the banks of the Yangtze, who first domesticated horses on the steppes of the Ukraine, who hunted giant sloths in the forests of North and South America, and who labored to build the Great Pyramid of Khufu. 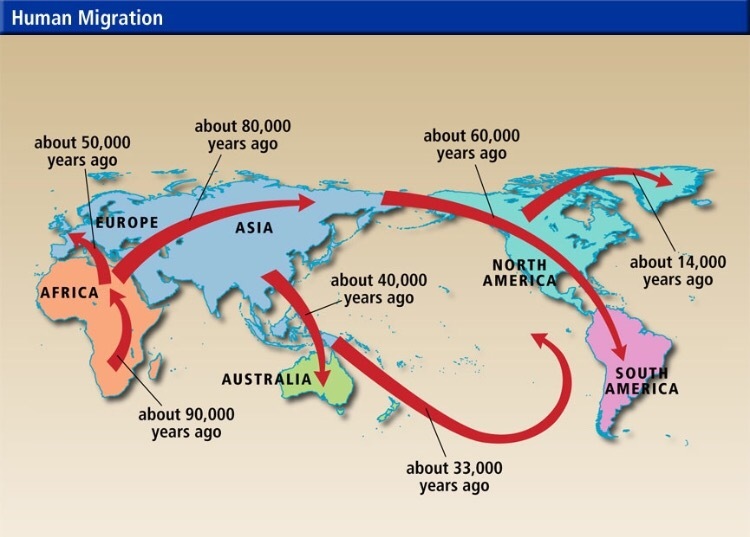 Perhaps you see a flaw in this conclusion, after all, we know humans migrated to the various continents 10s of thousands of years ago. Surely isolated populations alive today must be excluded as relatives, otherwise some humans from 3,400 years ago must have gone everywhere humans are alive now? The data says all isolated populations had at least one person from the all-ancestor generation or after it reproduce in the population causing a genetic line that persisted. 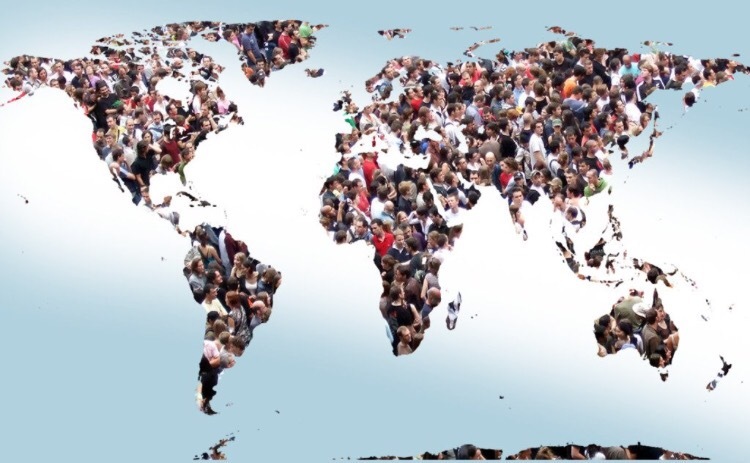 How does it feel to be related to 7.5 billion people? Will you now see every poet, priest, politician, super model, dictator, neighbor, blogger, … everyone, in a new way? This fact should unite humanity, but knowing my thick headed relatives, it may take a threat from a truly non-human intelligence to end our long and bloody history of self-loathing, to get so many estranged family members back on good terms. This is one of the best blogs, thanks. I have a relative who is a closed minded bigot and is also so proud of what he calls his family. I think this would make his head explode. He just couldn’t accept it as true even with all the DNA evidence in the world. My family is growing as fast as the entire human race. One of my cousins actually invented the atomic bomb. He later regretted it, saying, “I am become the destroyer of worlds.” English wasn’t his forte. He told us they didn’t even need to drop the bombs, the Japanese were already surrendering. This is too fun. Okay, I’ll confess. A relative of mine slept with Bill Clinton. My cousin works at Area 51. I’munna lay it out, here’s the thing, a lot of my relatives are rotting in prison, too damn many. I’m not denying some are the worst behavers. If they knew we are all family, they might not be in there? My cousin invented the lightbulb.